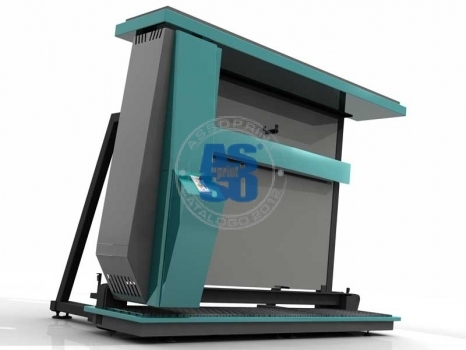 The Computer to Screen system consists in direct exposure by means of blue laser diodes for engraving screen printing frames. Introduced for the first time in the graphical and industrial sector in 1996, the concept of direct engraving of the screen printing frame, formerly done with a wax jet, was an immediate success due to the large amount of advantages. 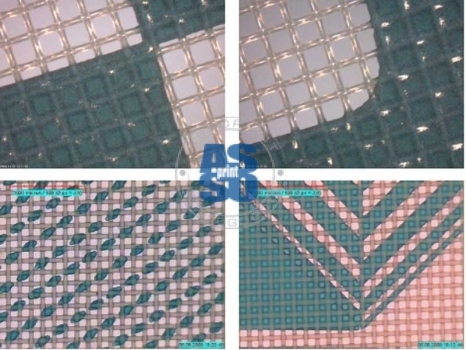 The revolutionary technology based on blue laser diodes means no film, no wax, no lamp wear, complete polymerisation of any emulsion or capillary film of any thickness, greater screen extension, absolute consistency of engraving parameters for frames up to 3500x4000 mm. The only limit the system had was the relatively low resolution (600x600 dpi) which could be obtained with wax and the low reproduction speed. 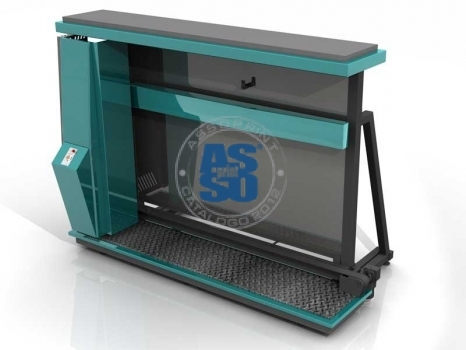 This limit, along with many more advantages listed below, has been completely overcome over three years ago with the introduction of the direct exposure system by means of blue laser diodes to engrave screen printing frames, produced by Assoprint in the EXPO LD version. No film to handle and store. 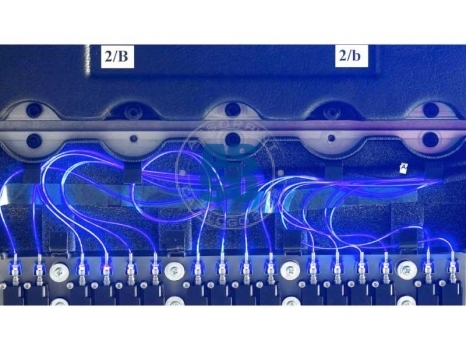 Direct exposure by means of blue laser diodes. Use on all types of white and coloured screen printing fabrics. Engraving of all types of photosensitive emulsion thicknesses. Greater quality and duration of the frame as there is no film or glass which obstacle emulsion polymerisation. Greater printing quality due to the elimination of light reflections and parallelism of the light source. No need for final retouching of the screen printing frame due to dust or assembly belts. Cost of retouching filler saved. Automatic positioning of image by file thanks to centring lasers. Perfect adjustment thanks to the absence of movements caused by thermal deformation of the film and mechanical deformation of the vacuum surface. Autofocus consisting in a distance adjustment system between the head and frame by laser control. Increased productivity of all working phases. Possibility of using any type of emulsion or capillary film of any thickness. Possibility of integration on automatic processing lines. Less time waiting for printing. Reduction of critical points between departments. Possibility of producing digital drafts with the same parameters used for printing. Laser diodes with 405 nm wavelength. 16 / 32 / 48 / 64 / 80 / 96 laser diodes. Possibility of increasing with 16 diode modules. Life of laser diodes last 10,000. Power stability of diodes over time. Minimum outside dimensions of frame: 600x500 mm. Maximum outside dimensions of frame starting from 1800x1600 mm. 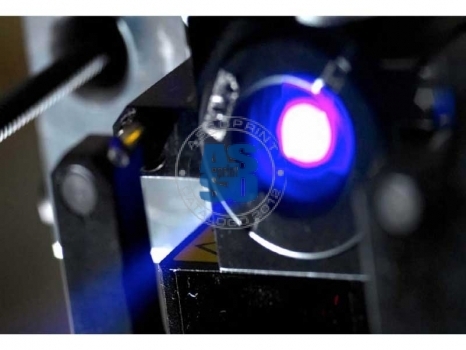 Engraving technology: direct exposure by means of blue laser diodes (405 nm). Speed: over 26 m2/hr (depending on number of lasers, type of fabric and emulsion). Thickness of emulsion which can be polymerised: 3-600 microns out of the frame. Movement accuracy: +/-0.02 mm. (20 microns). Compressed air (without condensation) 6 bar / 150 l/h. Adiactinic environment 50-65% U.R. at 18-25°C.